Modern, Ambient Pop meets older, Shoegaze styles, producing a stunning pop album from the Manchester band. Influences from Manchester’s impressive music scene makes the album even stronger; with The Courteeners guitar’s rawness displayed alongside WU-LYF’s grand approach on contemporary Indie, next to Everything Everything’s quirks. Lead single, Blood recalibrates Patterns, drawing attention from their earlier works on Induction and Throwing Stones, focusing less on the technical amusements and more on the importance of creating an atmosphere by drawing every musical element possible into one massive sound, and superbly so. Nostalgic chimes of childhood bells ring true on Broken Trains and Walking Lines, to vex an immediate response, then disfiguring your opinions with guitars high on Patterns dreamy styles. The all round madness of high-strung, no end visible melodies, manipulates your sense of time, misleading you into thinking that an hour flew by, when in fact, only 3 minutes and 38 seconds have passed leaving a sense of relief and further buzz. MONEY’s silencing rhythms are blended perfectly with Patterns youthful production as well; producing choruses of seismic proportions, that maintain the structure of each song perfectly keeping the music sound and completely balanced. Album closer, Climbing Out, summons the heart warming goodness of Shoegaze with blurred beginnings, and slow surroundings, freezing all aspect of time and space around you, transporting you to the perfection of 70’s festivals. Unlike most bands who produce awful revamps of once great singles (not pointing fingers), Patterns organising on Induction, creates a new song entirely. A vortex of madness with screaming tornadoes for guitars and hysteric ambient tones draining any lyrical understanding. It’s new, bouncing, pop tone, proves even more worthy of joining the rest of Walking Lines, than originally. 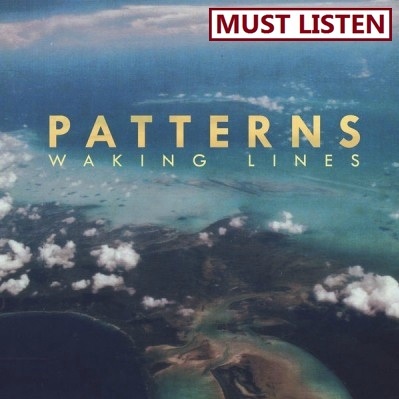 Walking Lines is a trip to the past through nostalgic rhythms, created by post-modern techniques. Clear guitar manipulations and virtual atmospheres, create a journey of pure imagination which makes the album near perfect.